3. Statutory sick pay (SSP), is set to increase to £94.25 per week from April 2019. Statutory maternity pay and other weekly family leave payments will also rise to £148.68. 4. 29 March 2019 is “Exit Day”. The UK leaves the EU at 11pm on 29 March 2019, unless this date is extended. EU citizens who are already resident in the UK up until “Exit Day” (assuming a “no deal” scenario), or until the end of the transition period, (which will apply in the event of a Parliament ratified deal with the EU), will be eligible for permanent settled status in the UK once they have been resident in the UK for five years. The Government has published technical guidance on worker status to apply in the event of a “no deal” Brexit. The notice advises that, with some minor exceptions, any changes to employment legislation in the event of a no-deal Brexit will be solely linguistic to reflect the fact that the UK is leaving the EU. There will be no change to substantive employment rights. Please refer to our previous blogs: http://news.markellaw.co.uk/post/102f4co/brexit-and-the-eu-settlement-scheme; http://news.markellaw.co.uk/post/102fdy4/eu-immigration-under-a-no-deal-brexit for details of the new immigration scheme which will apply. 5. Employment Status in the “gig economy”. 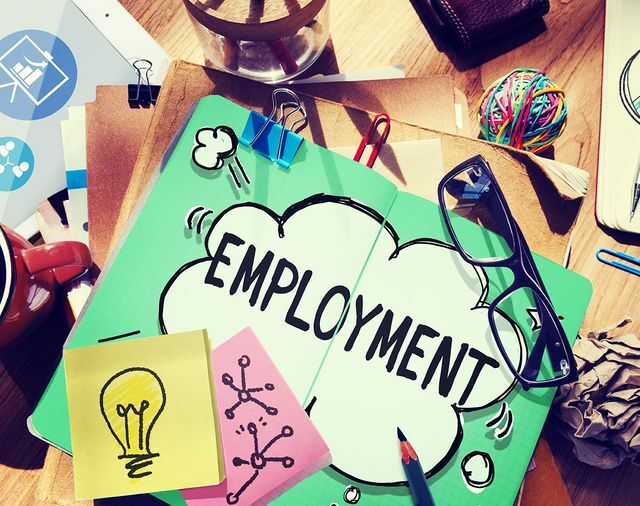 We expect to see more legal challenges on employment status from individuals working in the so-called “gig economy”, who are categorised as self-employed contractors but claim, in fact, they are workers or employees in reality. The trend has been for more and more individuals working in the gig economy to be recognised by the tribunals as workers, who benefit from minimum legal worker protections, such as the right to paid annual leave and sick pay. In order to address the uncertainty for businesses in determining individuals’ employment status, the Government has proposed introducing a new free online tool for determining employment status, similar to HMRC's employment status indicator used for tax purposes. The Government has also introduced new legislation, (to apply from 6 April 2020), which includes giving the right for both employees and workers to receive a written statement of their particulars of employment from the same day the individual begins their employment (a day 1 right), to provide greater certainty of their working conditions. The Government proposes introducing further legislation which will include the right for all workers, including zero hour workers and agency workers, who have less predictable hours, to request guaranteed hours after working for a continuous period of 26 weeks. It is likely that businesses will be able to refuse a request for guaranteed hours where genuine business reasons are identified for doing so. Employers must include the total number of hours worked on payslips where the pay varies according to the hours worked. 7. The Parental Bereavement (Leave and Pay) Act received Royal Assent on 13 September 2018. Under the Act, there will be a right to two weeks’ bereavement leave and pay for employees whose child dies below the age of 18, or whose child is stillborn. The new right is expected to take effect in 2020. In the Good Work Plan the government also commits to a wide range of policy and legislative changes to ensure that workers can access fair and decent work, that both employers and workers have the clarity they need to understand their employment relationships, and that the enforcement system is fair and fit for purpose.